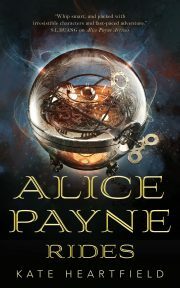 Authors will autograph their books at the Nebula Awards Weekend, Friday, May 18, 2012 from 5:30 p.m. until 7:30 p.m. at the Hyatt Regency Crystal City at 2799 Jefferson David Highway, Arlington, VA 22202. The Hyatt is located nine-tenths of a mile south of the Crystal City Metro Station. Use the complimentary Hyatt Shuttle bus to get from the Metro Station to the Hyatt. Valet parking is available at the Hyatt for a fee. Books by the authors participating in the signing may be purchased throughout the weekend. See below for the tentative hours of The Book Depot. Please indicate you would like to sign your books during the mass signing when you register for the Nebula Awards Weekend. Registration will begin January 10th. If you would like to bring copies of your books for The Book Depot to sell, please contact us. Friday 5:30 p.m. – 7:30 p.m.